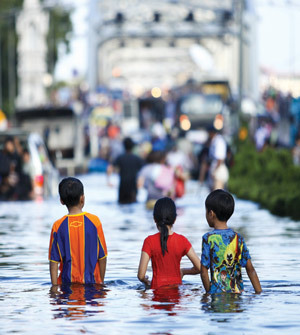 Financial scandals, earthquakes, hurricanes, terrorist attacks and tsunamis generated some important lessons for the worlds of insurance and risk management. The challenge now is coming to grips with a world where vulnerabilities are expanding. Bob Cox, executive vice president at Chubb & Son and chief operating officer for Chubb Specialty Insurance, sees terrorism, climate change and expanded corporate governance as having had the most significant impact on the insurance industry in the past 25 years. "The events of 9/11 were a game changer for the insurance industry," says Cox. The insured property losses stemming from the fires and explosions at the World Trade Center in New York and the Pentagon in Washington, DC, from 9/11 totaled $18.8 billion. But 9/11 came second in the Insurance Services Office's ranking of the 10 most costly catastrophes in the US. Top ranking went to Hurricane Katrina. The 2005 hurricane tallied $45.5 billion in property coverage losses. Nonetheless, 9/11 had a stronger psychological impact. "It made executives aware that we all have vulnerabilities and have to get ahead of them," says Carol Fox, director of strategic and enterprise risk practice at the Risk and Insurance Management Society. Risk management concepts first began gathering greater attention and use in the early 1990s. The 1995 collapse of Barings Bank, one of London's oldest merchant banks, after speculative investing by an employee, accelerated its development. By 2009, corporate executives were left wondering how the elaborate risk management mechanisms developed over the previous two decades had failed the banking sector. Today risk managers have learned to temper their overreliance on fancy metric models and neatly completed compliance checklists to monitor risks. Nonetheless, enterprise-risk management is here to stay.